Hello. I am cold. It's been a rainy, blustery, disgusting November, and I just want everyone who claims to love fall that you are WRONG. WRONG!!! 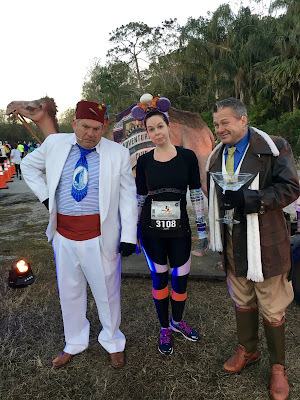 I've been distracting myself from the horrors of this god-awful season by trying to decide on a costume for the WDW Marathon. 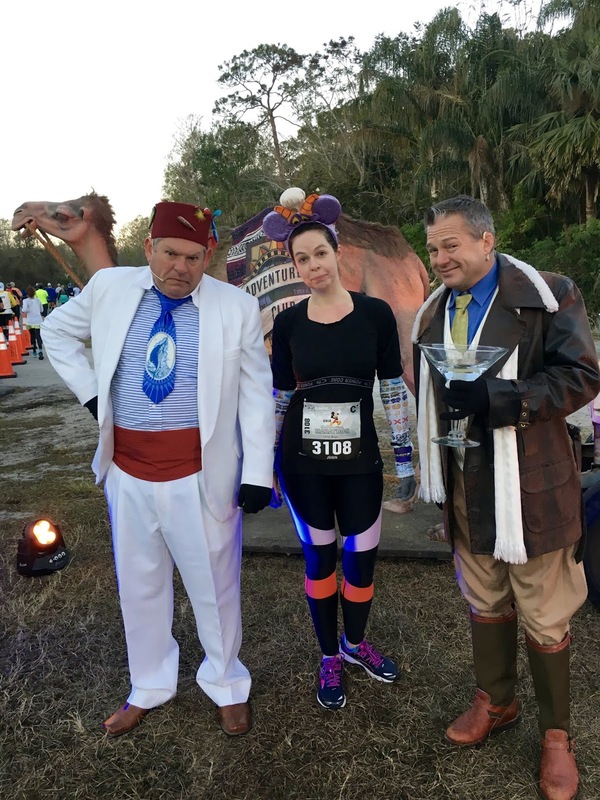 I could do Figment again, of course, which would be the easiest and most cost-effective option since I have all the pieces ready to roll. I did briefly consider doing a Disney parks tour guide. but decided the plaid skirt I was eyeing to complete the look wasn't worth the cost. Now I'm ruminating on attempting Marie from The Artistocats, but I'd need a white skirt or something. No way in hell I'm wearing white leggings. My first long run since the Wine & Dine Half Marathon. It was... okay. Thanksgiving, so I spent a lot of time in the car. Oh New Jersey, why can't I quit you? No, seriously I'm asking. I took the day off, so I dragged myself outside in the cold to run and then spent the entire rest of the day inside playing The Witcher. Balance! - ... as does The Disney Tourist Blog. - Over on the west coast, This Fairy Tale Life sherpas us through Disneyland's Festival of the Holidays. - ... and The Main Street Gazette shows that WDW's love of gingerbread runs deep. - At Disney Again proves that Disney's Animal Kingdom is the prettiest, especially for the holidays. Girlllll....it was 48 FREAKING DEGREES out this morning! I think Mother Nature had a brain fart and forgot this is SOUTH Florida!